Zaxby’s is back! 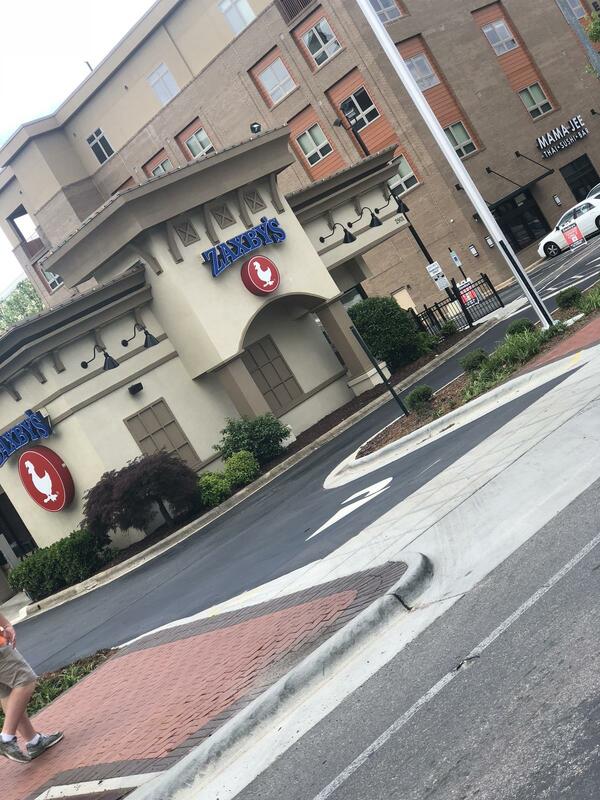 Located at the Dixie Trail roundabout on Hillsborough Street with a committed parking lot, guests can easily stop by for a meal or use mobile ordering for a quick food fix for the office, roomies or classmates. The new red-brick sidewalks are like following the yellow-brick road to the Oz of Zax Sauce. Step inside to enjoy speedy service and a #GoPack feel with your Zappetizers, Zalads and Wingz. When I arrived, the employees were very caring and sincere. I knew what salad I was going to order but didn't remember the name of it. 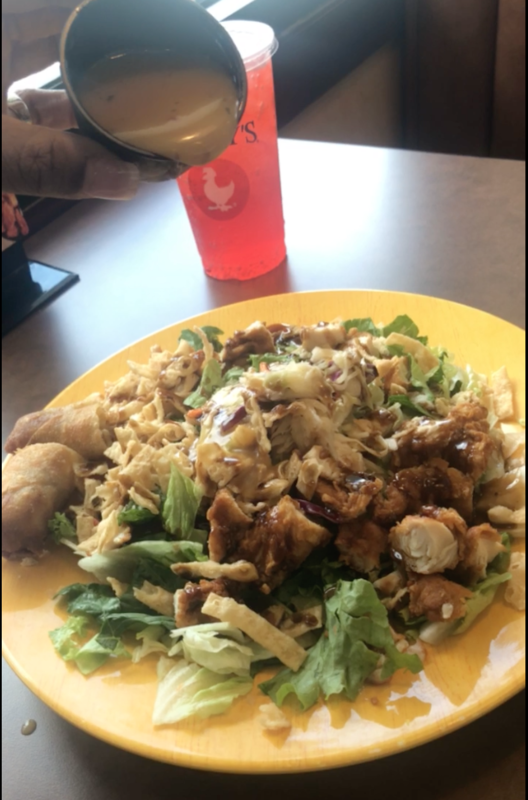 Thankfully, the crew member knew exactly what I was describing - The Zensation Zalad, a salad with a touch of Thai. The romaine lettuce is paired with Asian slaw, red cabbage, carrots and crispy wontons all tossed in a honey sesame glaze. On top, there is diced chicken fingerz and a vegetable egg roll. The egg roll is best dipped into the side of citrus vinaigrette. This dish is the perfect balance of hot & cold and sweet & tangy. So next time you can’t decide where to head for lunch, follow the red-brick road to the second roundabout and voila!